Aerial view of Bounty Island Resort, Fiji is to be sold by way of International Tender closing on the 24th May this year. From time to time exceptional real estate opportunities are presented to the international market place. Managing Director and Partner of Bayleys Real Estate (Fiji) Limited, Philip Toogood said this is one such opportunity. 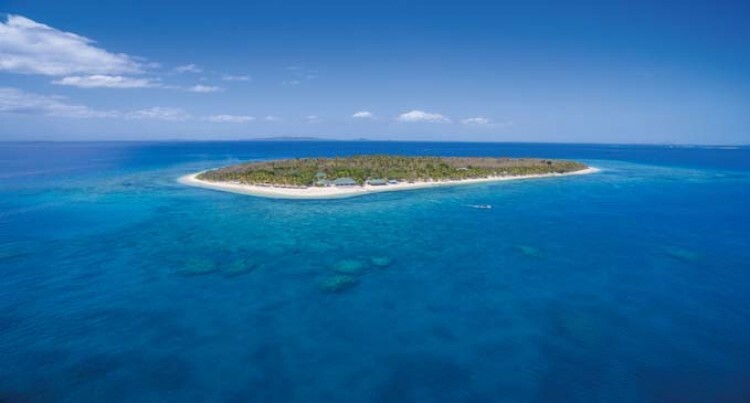 Well known Bounty Island, Fiji, is to be sold by way of International Tender closing on the 24th May 2016. The stunning 48 acre island is the closest significant island to world class Port Denarau, Denarau Island, the hub of Fiji an tourism which itself is just a 20 drive from Nadi International Airport, the point of arrival from Asia, the USA, Australia, New Zealand other South Pacific nations and points beyond. The Bounty Island Resort, a popular small budget resort, is included in the sale as a going concern, along with the Native Lease for the entire island. Mr. Toogood said the development opportunities the island presents are where the true value lies. “Developers, and tourism operators and investors from within Fiji, Australia, New Zealand PNG Asia and the United States again have Fiji on their radar and we expect enquiry to come from all these locations” he says,” he said. He said Fiji Airways is increasing its weekly services to Hong Kong to 5 per week in the near future and the new Singapore Nadi Service commences next week. “The United States enjoys direct flights into Los Angeles and the new San Francisco direct service will further boost visitor numbers from this key market. He said New Zealand and Australia have become almost “shuttle” destinations with frequency increasing regularly. “Bounty Island is part of the spectacularly beautiful Mamanuca Group of Islands within Fiji. The superb climate, pristine waters, extraordinary coral reefs, and the fishing, snorkelling and diving opportunities that are presented within the waters around the island have given enormous pleasure to tourists and locals for decades, “Mr. Toogood said. He said development options include integrated resort rooms, villas and apartments and residential homes.